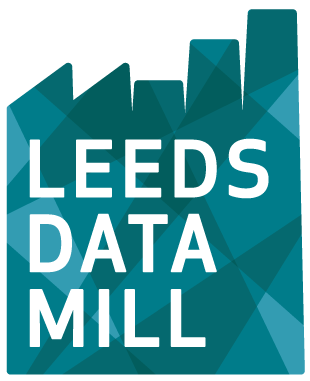 Can we tell an engaging story about Leeds with data? 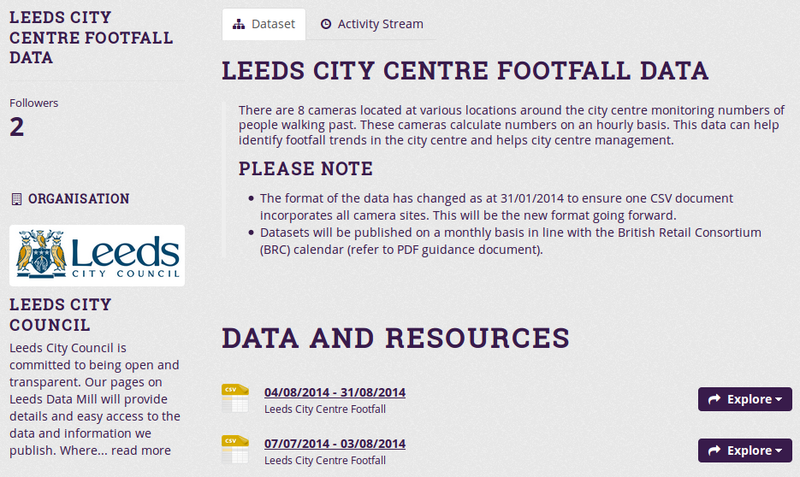 Turn the footfall data into music. 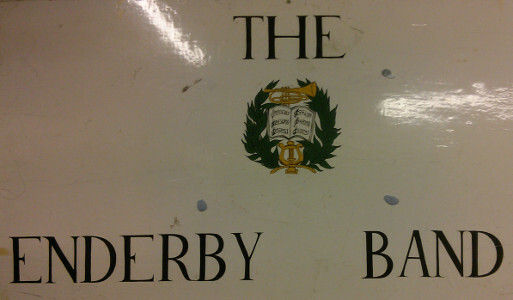 What musical genre epitomizes Leeds? 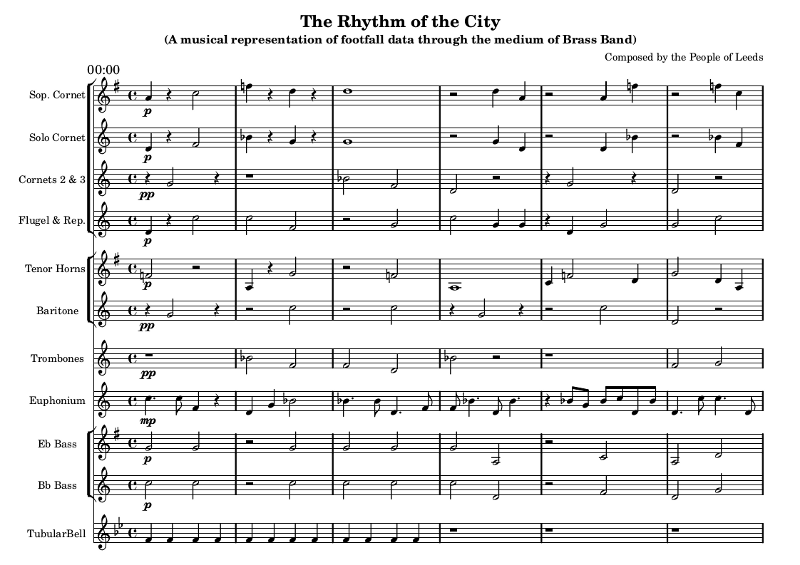 Our aim was to write Python scripts that turned raw footfall data into music for brass band called "Rhythm of the City". And so, oompah.py was ironically checked into Github. 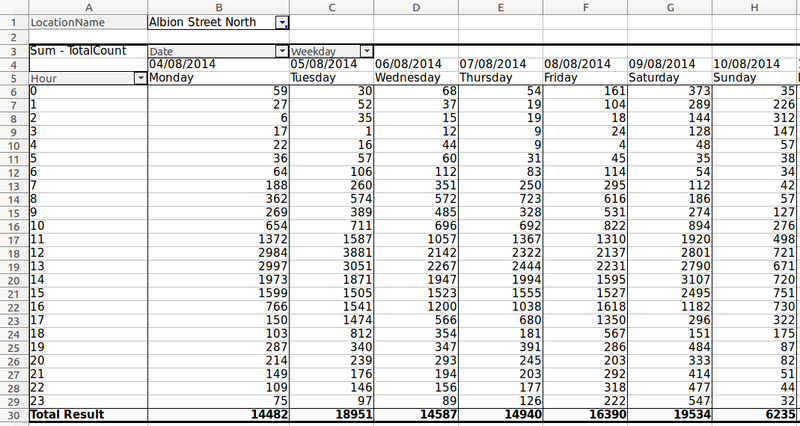 Excel + Messy Data = Aargh! """Generate notes from the scale driven by the data.""" Nick: this starts to tread on the rhythm/intensity ideas which I assume you want to cover, so I plan to skim over the deails and say something like "Nick will say more in a minute"
"""Generate a voice from the data, combining pitch and rhythm"""
Music affects because of the effects of sound. Music engages us to listen. 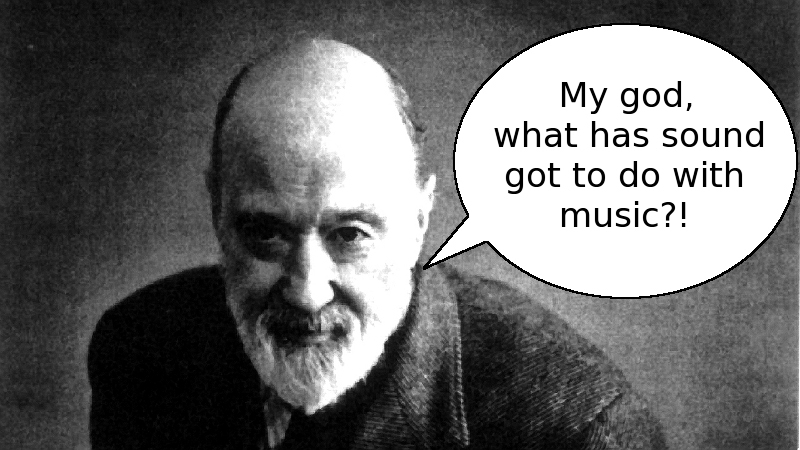 Music, in some sense, tells a story in sound (there is a discernable narrative). 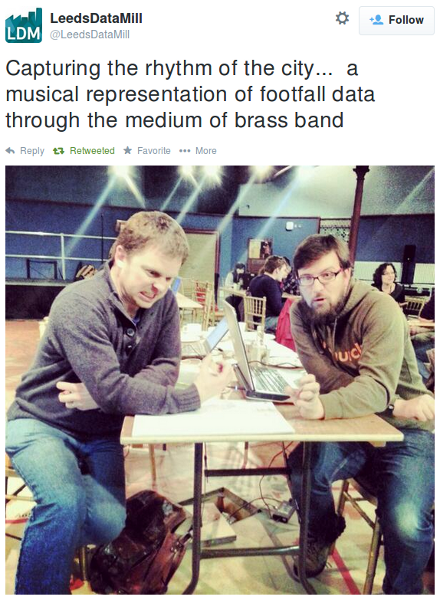 Can we reveal the story of the data through music? 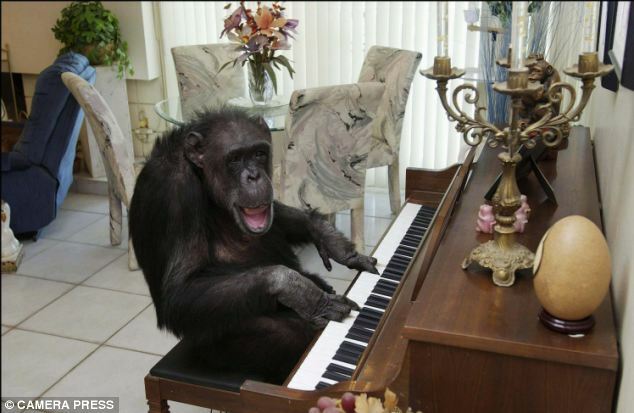 Pitch: how high or low a note sounds. Rhythm: a sequence of different durations. Melody = Pitch + Rhythm. 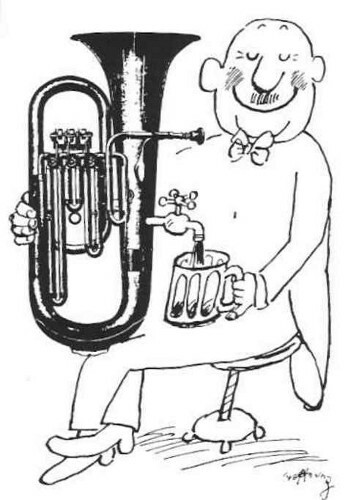 Timbre: the quality of a sound (e.g. the difference between a flute and violin). Key: the set of available pitches. 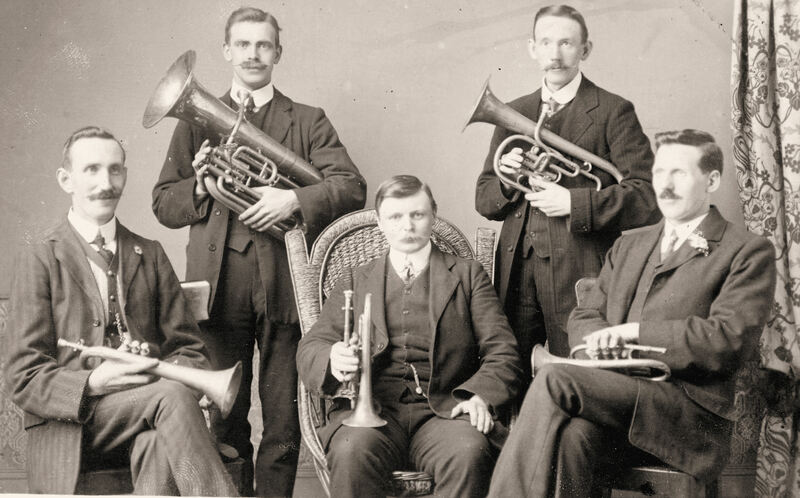 Harmony: how pitches sound together as polyphony. Texture: how the harmony is "voiced". The ingredients for generating "Rhythm of the City". 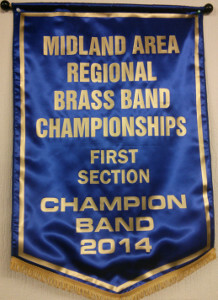 Each instrument group in the band represents a specific area of the city. Ergo, cameras/locations are differentiated by timbre. 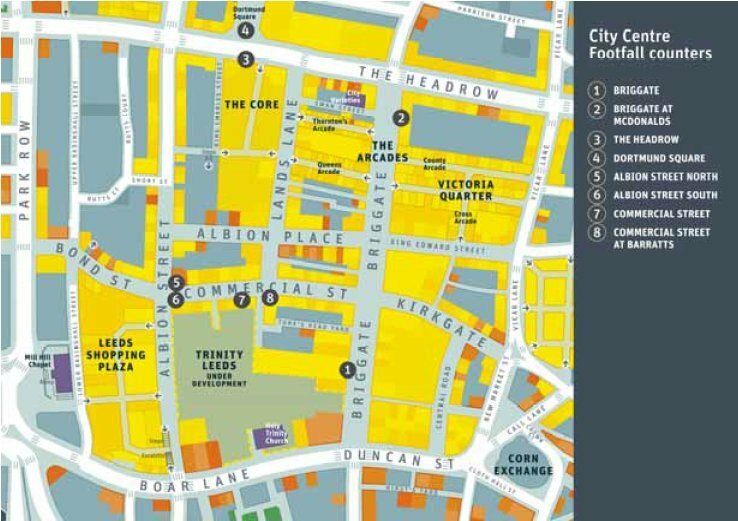 The amount of footfall in a location changes the intensity of dynamics and rhythm (more footfall = louder / busier melodies). Use "nice" sounding pentatonic keys. Time of day is indicated by key. Each hour of the day is represented by an eight bar fragment. Tubular bells sound out the hours every eight bars.